STEPPER titanium collection. 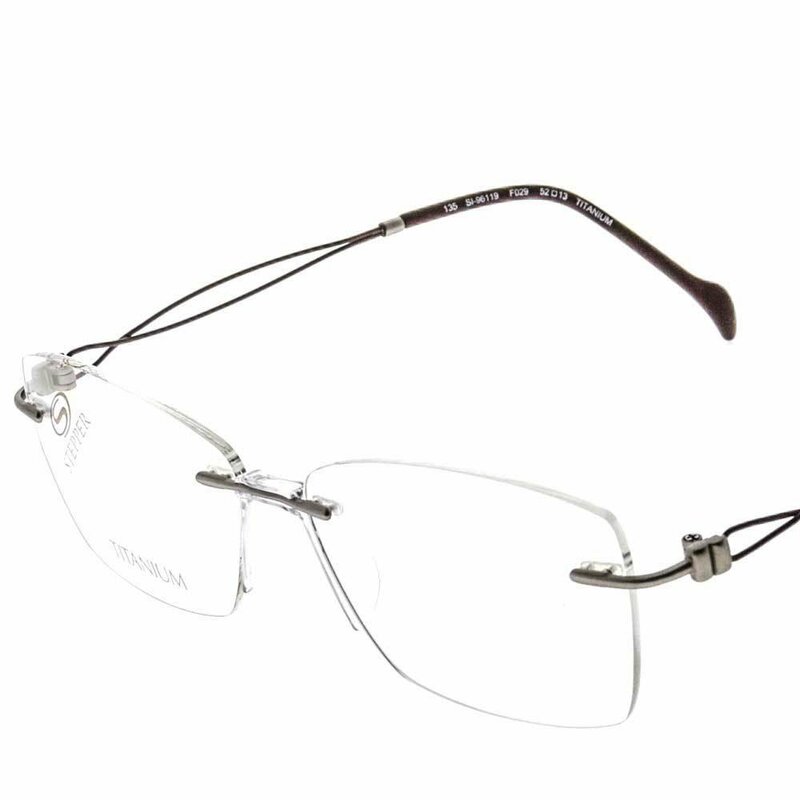 Cat eye eyeglasses for men & women. Silver matt finish frame and brown temples.